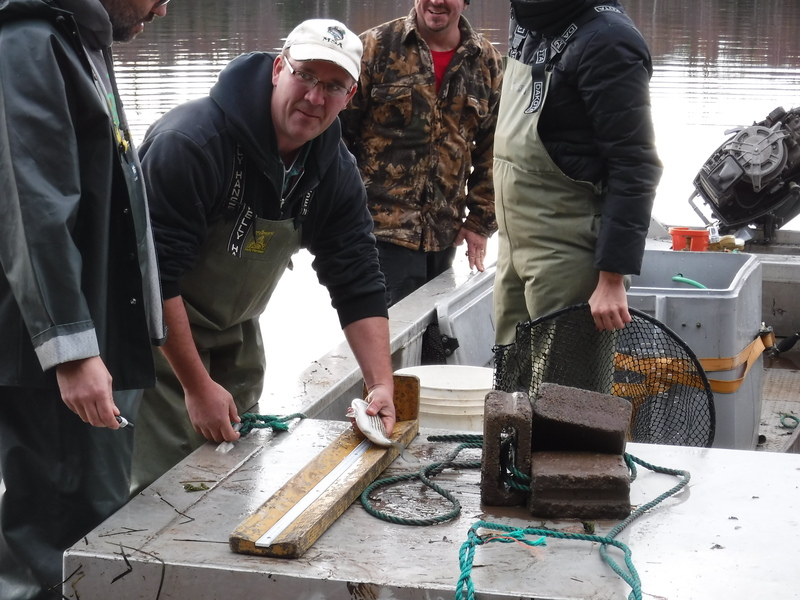 In 2016, the SAA worked in partnership with the Department of Fisheries and Oceans Canada as well as the Bouctouche First Nation to tag a number of Striped Bass with hopes of mapping their movement in our rivers. This project will be continued in 2017 and the data collected will help the SAA and other groups to know if the Striped Bass are moving toward the North or South of the province. In 2011, the SAA initiated a project to better understand the dynamics and abundance of Striped Bass in the Cocagne and Bouctouche rivers after having had recent evidence of an increased population in these areas. In 2004, the commercial and recreational fishery were closed and suggested that the Striped Bass be listed as threatened by the COSEWIC committee. Increasing our knowledge on this fish species in our rivers is important.